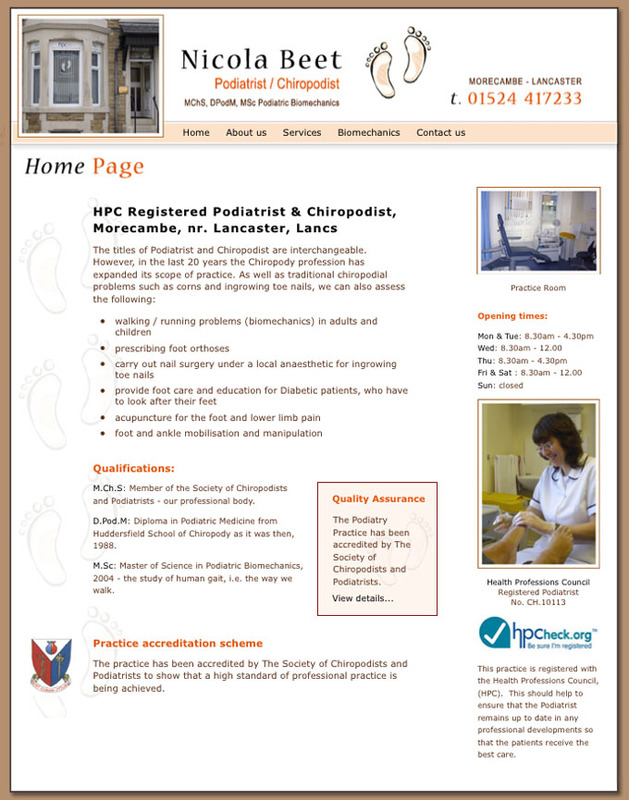 Nicola Beet Podiatrist and Chiropodist in Morecambe near Lancaster. The client wanted a simple website to promote her business on the Internet. She wanted to use her 'feet' logo on the site and feature lots of horrid pictures of feet! We optimised the site for Morecambe and Lancaster searches for a podiatrist or chiropodist and she easily achieved top positions for the Morecambe searches and close to the top position for Lancaster searches.